More and more people are setting up cameras in and around their homes, but are they really getting valuable information from those devices? Lighthouse, a new Silicon Valley startup, doesn't think so. 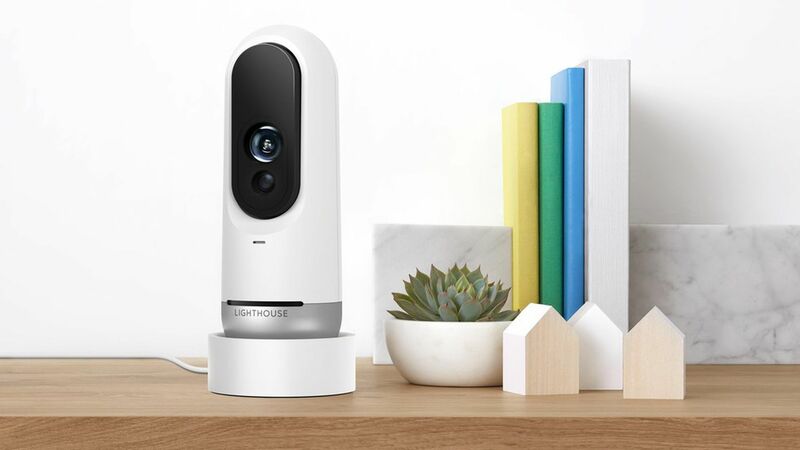 All about AI: Lighthouse says that artificial intelligence is what makes its home camera system more useful than others. In addition to a camera, Lighthouse's device is outfitted with a 3-D sensor that captures a more detailed view. The company's A.I.-laden software is then able to detect specific people, pets, and movements. For example, a user can open the companion mobile app, and verbally ask if their dog walker came by that day. Using natural language processing, Lighthouse then identifies footage of the dog walker and brings it up. Right now, however, the range of elements it can identify is limited to what the company has "taught" the software to recognize, though Lighthouse says it's continuing to add more based on user feedback. Big brother: The idea of having cameras all the around the house can be off-putting to some people (like yours truly), and Lighthouse intends for its device to be used inside, not outside like some companies such as Ring. Of course, the cameras can be programed to turn themselves off when their owners are home, Lighthouse tells Axios. The team: Co-founder and CTO Hendrik Dahlkamp was part of Stanford University's self-driving car team that won the DARPA Grand Challenge in 2005. He went on to sell two companies to Google and become an early employee of the search giant's X division. Co-founder and CEO Alex Teichman also worked on artificial intelligence technology for self-driving cars at Stanford, eventually leaving to become an entrepreneur. From cars to smart homes: Despite meeting while they worked on self-driving cars, Dahlkamp and Teichman decided not to start their own autonomous driving startup because it wouldn't allow them to make an immediate impact on people, the latter tells Axios. Self-driving cars are years away, he says. Funding: Since its founding in late 2014, Lighthouse has raised a total of $17 million in seed and Series A funding from Playground (Android co-founder Andy Rubin's incubator), Eclipse Ventures, Felicis Ventures, SignalFire, and StartX.